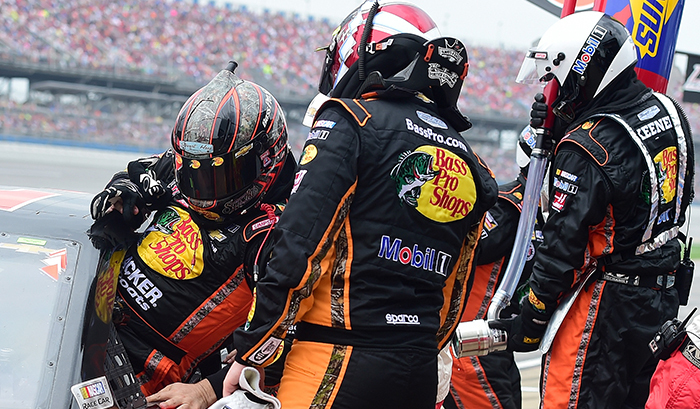 Talladega's GEICO 500 wasn't the easiest race for Dale Earnhardt Jr. and Amelia. While two wrecks and an early exit led to a 40th place finish for NASCAR's "power couple," it was an issue with 70 laps left that may have been the most bizarre. Coming through turns 1 and 2, Earnhardt pulled the steering wheel off it's column, causing him to actually steer the car with his hand to avoid the wall. "Luckily it was under caution. I just grabbed the shaft and steered the car that way. Might of ripped the skin off my hand, but I wasn't going to let it hit the wall," said Earnhardt. "That was just a freak deal." Fortunately he was able to get things back in working order on the backstretch. It's only a matter of time before "The Big One" hits when it comes to Talladega. 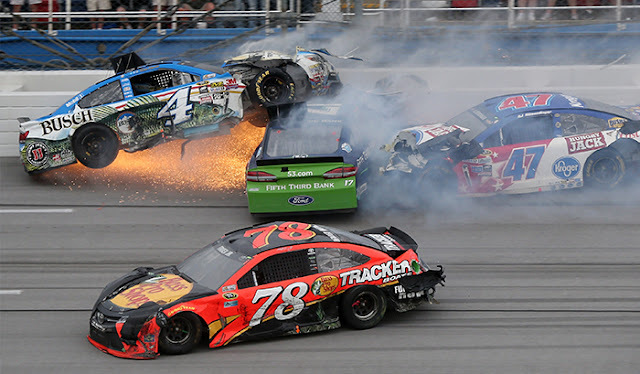 But Sunday's action saw 35 of the 40 car field involved in accidents, 16 of which came within the last 10 laps. “About everybody had some sort of damage and was tore up. I don't think there was a car that came out of this place without needing the body all redone," said defending Sprint Cup Champion Kyle Busch. One of NASCAR's biggest rivalries got another shot in the arm last weekend, as Matt Kenseth put the bulk of the blame for his involvement in a lap 173 crash on Penske driver Joey Logano. It's understandable why tensions are high, as both drivers have run well in 2016 but neither have found their way into Victory Lane yet. Well that could change this weekend. Logano has won two of the past three races in Kansas City, and no driver has a better average finish at the track over the last five races. 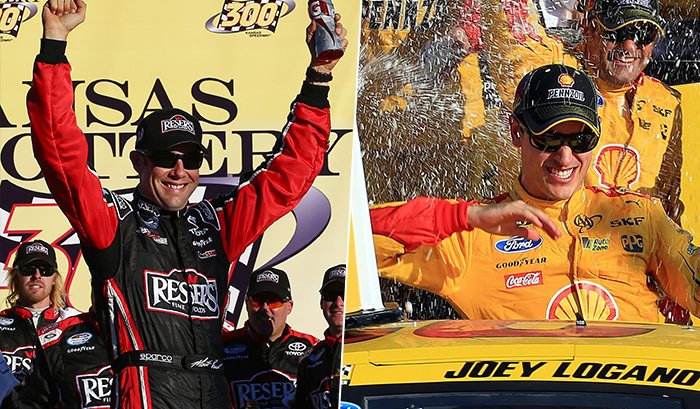 No active driver has led more laps at the 1.5-miler, and he took home back-to-back victories between 2012 and 2013. For reasons both on and off the track, you can bet a lot of eyes will be on these two come Sunday.